The weekend had been filled with good food, laughter and the celebration of our faith. One thing that struck me odd in hindsight was the random idea I had come up with that weekend to see what our kids would look like. Having come upon a nice little fun app where you add a photo of yourself and your mate, you can digitally see how the two of you would combine into a stock image child of course – like that’s accurate lol. I even so much as created a note on my Iphone listing male and female names I liked and their meanings. Thinking nothing of it. But days later….I was late. I knew I had to take a test stat – my cycle was like clockwork and it was very unusual for it to just…. not be there. So what did I do but rummage through my bathroom stash for some pregnancy tests. Coming upon a box that had expired. I thought what the hell and pulled one of those bad boys out. Unwrapping one – I followed the instructions and waited……what seemed like forever. And then there it was…..
Two pink lines but a very faint second one! I felt as though I was in a dream. There was no question. Despite the fact there could be no denying I was in so much shock I opened the other two thinking hey they are expired, better make sure. You’d think I’d stop there but oh no. I called my husband and told him about the tests results – cautioning that they’re expired and they could be faulty – would he mind picking me up some more on his way home from work. Why I thought sending my husband to go get pregnancy tests alone is beyond me LOL so we went together. When we returned home, I jumped out of the car and ran inside ripping open the box reading First Response. 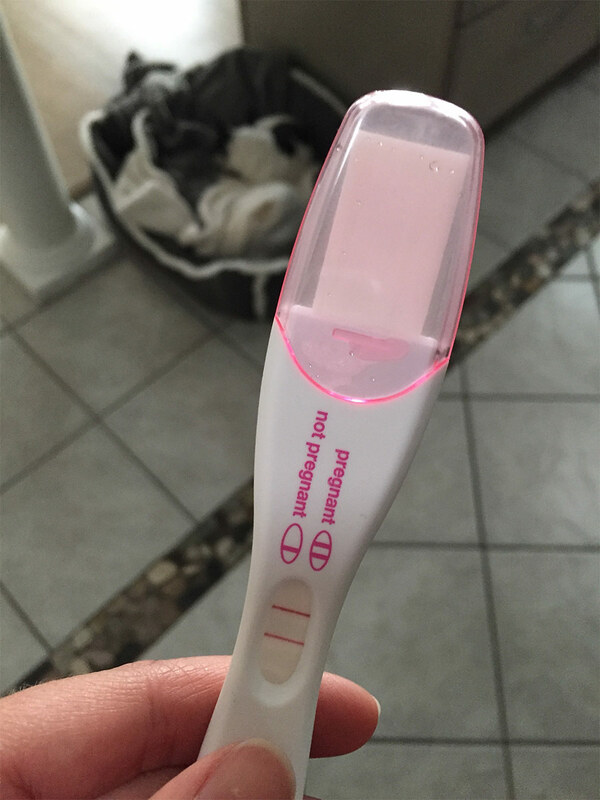 In a matter of seconds those Two Pink lines appeared and golly be – we were parents! It’s so strange the range of emotions a women feels when she sees those two pink lines. A roller coaster of emotions, but most of all I was filled with happiness. My dream of becoming a mother was finally coming to fruition. What’s your pregnancy story? Were you excited, scared…? Pregnant? I collaborate as an Expert Author on this website. Check out this article! Is Folate Necessary To Be Consumed During Pregnancy?